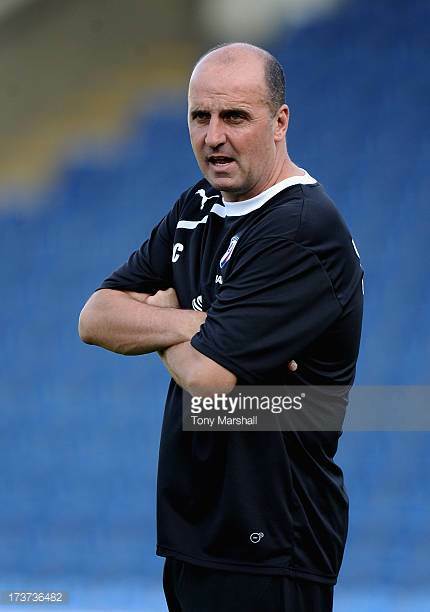 A more balanced midfield with Paul Cook in charge? So tweeted James McArthur after Harry Kane’s late equaliser had robbed them of victory in a game they did not really deserve to win. He had come on as a substitute at the beginning of the second half in the cauldron that Hampden Park so often can be. In the eyes of an admittedly biased Wigan Athletic fan he should have been on from the start, but James Morrison and Scott Brown were chosen instead. But seeing McArthur brought back memories of his partnership with James McCarthy. Both were signed from a modest club in Hamilton Academical, seemingly “players for the future”. But what a future it proved to be for them at Wigan as the pair became the engine room of the club’s greatest ever successes. Pitched up against the likes of Gerrard, Lampard and Scholes they held their own, famous victories over England’s richest and most powerful clubs resulting. Roberto Martinez had developed what was loosely called a 3-4-3 system. McArthur and McCarthy supplied the energy and vision from the centre of midfield, with the excellent wing backs Emmerson Boyce and Jean Beausejour providing the width. One of the front three, Shaun Maloney or Jordi Gomez, would drop back to reinforce midfield and add to the creativity. The end result was a balanced midfield, capable of challenging the best in the land. It is more than three years now since McArthur left Wigan, McCarthy having gone a year earlier. Since then Latics have had a plethora of midfield players pass through the club. The Macs had played together for three years, developing a mutual understanding, covering for each other when it was needed. But last season that kind of understanding was sadly lacking, players too often being unable to find their teammates with their passes. Midfield players who had been key in winning League 1 the previous season had clearly found the step up to the Championship a tough one. Perhaps Gary Caldwell had realised that the midfielders of the title winning team might struggle in the higher division. He brought in reinforcements in Shaun MacDonald, Alex Gilbey and Nick Powell, but the latter two were to be stricken by injury. MacDonald had been a box to box midfielder at Bournemouth, but Caldwell was to use him in a “Busquets role” in front of the back four. He had used Sam Morsy in that role in the previous season, but the player had been dispatched off to Barnsley on loan. MacDonald went on to become a rock in front of the defence, also being favoured by Warren Joyce when he arrived in November. Although he would rarely show the range of passing that we had seen from Morsy, MacDonald was equally firm in the tackle and his reading of the game. Moreover he was strong in the air. Sadly his horrendous injury at Reading is likely to rule him out for the large part of the coming season. As part of his return from Barnsley, Morsy had been offered an improved contract with Joyce being keen to get him back. With MacDonald anchoring at the back, Morsy was pushed forward into a more creative role where he initially seemed to thrive. However, Joyce’s obsession with 4-5-1 was to mean that any midfielder’s role was to be primarily defensive. Like the other midfielders, Morsy just did not look as effective as he had earlier. The midfield was to shoulder the bulk of the frustration of fans wanting to see them push further forward to support the lone centre forward. The lack of creativity was to be exacerbated as Joyce was to play four central midfielders in his starting line-up, a tactic that was also to be followed by Graham Barrow when he took over as caretaker manager. Latics fans will be hoping for a more positive approach from new manager Paul Cook. Cook’s preferred formation appears to be 4-2-3-1, so it is unlikely he will use someone in the anchor role occupied by MacDonald. David Perkins has been given a new short term contract, although he is now 35. However, Perkins was the Player of the Year in League 1 in 2015-16 and his infectious enthusiasm was a key element in the team’s success. Max Power was the subject of an offer by Birmingham City in January. Although he had a disappointing season he remains a young player with good technique who might well benefit from a move. Morsy has already proved himself in League 1 and would surely be in contention for a place, but his increased salary might prove too much for Latics to swallow, given their much decreasing revenues. It would be no surprise if both Power and Morsy were sold over the summer. Cook already has players who can form the trio behind the centre forward. He has those who can play wide in Michael Jacobs and Nathan Byrne, plus “number 10s” in Jack Byrne, Alex Gilbey, Josh Laurent and Nick Powell. Nathan Byrne has genuine pace, making Joyce’s decision to send him on loan to Charlton difficult to understand. With both Wildschut and Byrne leaving his side was distinctly short of pace. Rumour suggests that Byrne had a falling out with the manager and was dispatched as a result. It could be that the player has already burnt his bridges at Wigan and will be gone over summer, but he has a fine record in League 1 and could be an important player, if he were to stay. Salary could also be an issue. For the moment Latics are short on holding midfielders and Cook will be looking at bringing in at least a couple more. He will also look for more wide players. Jordan Flores can play wide on the left of midfield, but there is still no news of him signing a new contract. Finding the right balance in midfield will be of paramount importance to Paul Cook if he is to build a squad good enough to get the club back to the Championship division. Continuity is something that has been so lacking at Wigan over the past three seasons. Ideally Cook will put together a midfield not only to get the club out of League 1, but also one which can serve the club more long-term as did the “Macs” in the Martinez era. ← Another centre forward for Latics?